Depression is characterized by persistent sadness, accompanied by an inability to carryout daily activities, feelings of worth lessness, guilt, or hopelessness, and thoughts of self-harm . Globally, more than 300 million people of all ages suffer from depression. Especially when long-lasting or severe intensity, depression may be come a serious health condition. At its worst, depression can lead to suicide [2-4]. Depression is treatable with psychotherapy, also known as talk therapy, antidepressant medication or a combination of these [1,2]. The psychiatric establishment is clearly aware of the problems with the efficacy of antidepressants. The discussion usually focuses on the adverse effects associated with antidepressant medication [5,6]. However, the question is not whether antidepressants do something, but the degree to which they are essential for recovery. Although therapists usually ask about behavioral changes, change in ongoing medications, or hospitalizations, I argue that to answer such a question, the therapist should intentionally take into account the client's subjective experience about antidepressant treatments. It is a way of bridging the gap between psychological treatments and antidepressant medication. Some people resist taking antidepressants because they do not like to admit that something is wrong. Others dislike the idea of being dependent on a chemical substance to keep their mood level, or lacking a sense of control over life . Sometimes people talk about the stigma around mental health more generally, and the use of antidepressants, reflecting the view that taking something for the mind can have negative connotations. They know they might be perceived by others as mad . Another hand, since psychiatry has a social prestige and psychiatrist is seen as an expert [4,7], when antidepressants treatment fails people blame themselves . These beliefs must be taken into account forth remain reasons: First, self-limiting feelings, sense of lacking control over life, and the self-blame tends to reinforce depression . Second, these beliefs also reveal individual's subjective experience (fears, hopes, self-esteem). As a result, psychotherapy may be more effective. Third, we may provide strong support for the efficacy of antidepressants treatment. World Health Organization (2017) Depression and other common mental disorders. Global health estimates. World Health Organization (2014) Preventing suicide: A global imperative. Barroso A (2018) The signification of the suicide attempt as result of the gender as a social construction: A hermeneutic analysis in Cuba. Littrell J, Lacasse J (2012) The controversy over antidepressant drugs in an era of evidence-based practice. Social Work in Mental Health 10: 445-463. 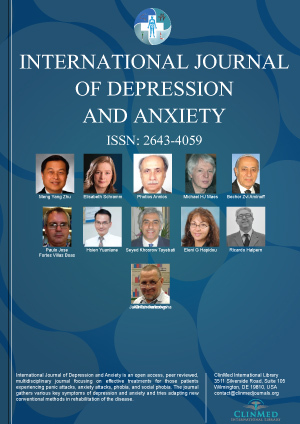 Doerring J, Mathew S (2019) Antidepressants and suicidality-controversies and posible Mechanisms. Neurobiology of Depression 301-313. Goldman AS (2015) A client focused perspective of the effectiveness of counselling for depression. Seligman M (1974) Depression and learned helplessness. In: RJ Friedman, MM Katz, The psychology of depression: Contemporary theory and research. Washington, 83-113. Alejandro Arnaldo Barroso Martínez, PhD, Health and Biological Sciences Department, Metropolitan Autonomous University, Cerrada de Perales 18, Granjas Coapa, Tlalpan, 14330, Mexico City, Mexico, Tel: (+52)-5573270323. © 2019 Martínez AAB. This is an open-access article distributed under the terms of the Creative Commons Attribution License, which permits unrestricted use, distribution, and reproduction in any medium, provided the original author and source are credited.